Pelagic Double Hookup Black Tee - Short-Sleeves | BUDK.com - Knives & Swords At The Lowest Prices! This is laidback clothing to fit your laidback lifestyle. 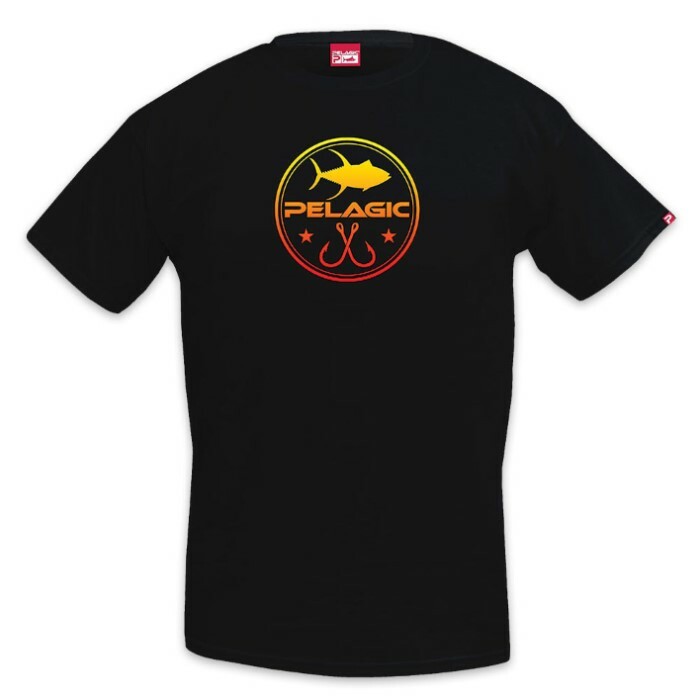 Celebrate your love of the ocean and offshore lifestyle with the Pelagic Double Hookup Black Tee from Pelagic Gear. When you’re out on the high seas or beach, you want to be cool and comfortable and that’s what this shirt is all about. 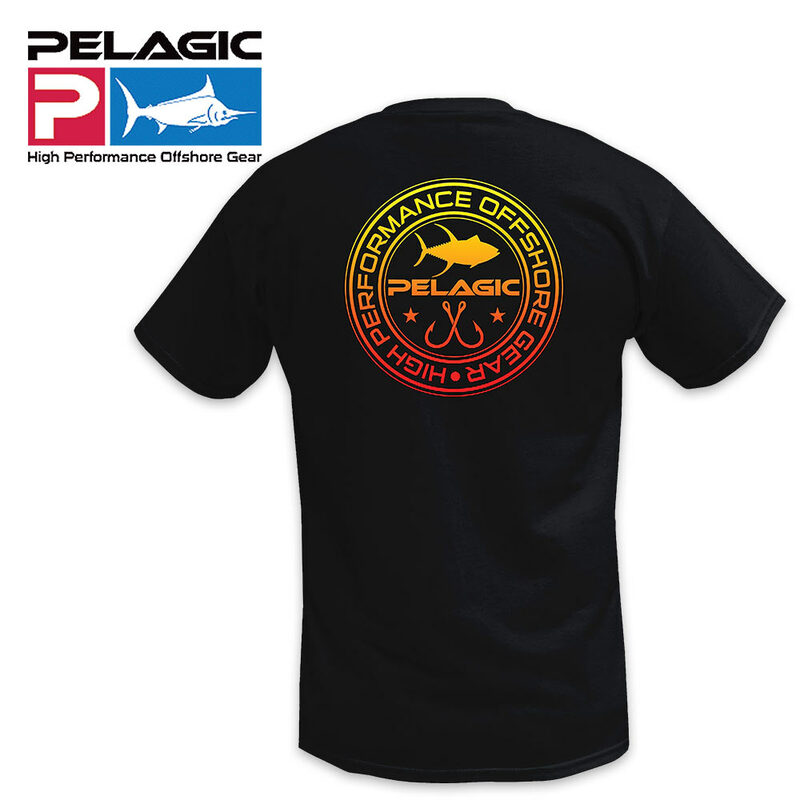 It features the Pelagic circle logo, complete with gamefish and crossed hooks within. It’s made of a 100% ring-spun cotton fabric for that true comfort fit. There is a large print on back and a small print on the front of the chest. It comes in sizes LRG, 1XL and 2XL.